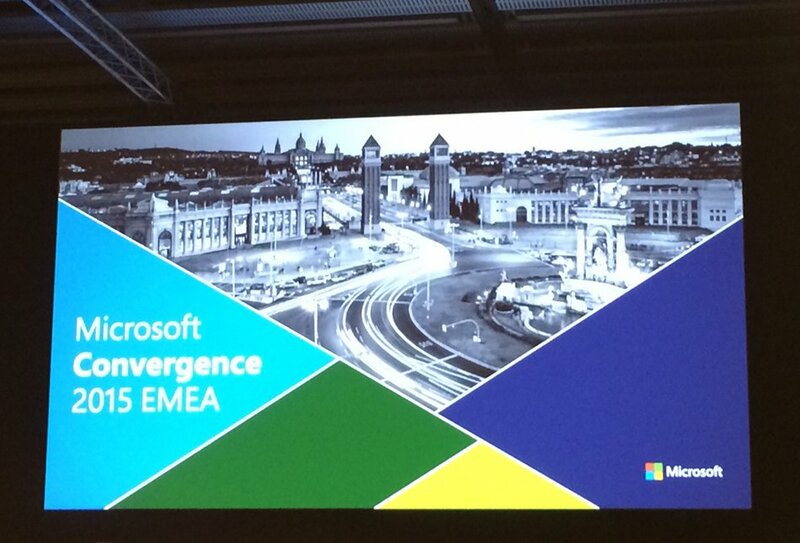 The annual forum of Microsoft Convergence 2015 EMEA was held between 30 November and 2 December in Barcelona. The event gathered the software giant's partners from all over the world, along with leaders from various business areas – finances, marketing and sales, IT specialists, as well as consumers of the business solutions offered by Microsoft. Being the partner who is the leader in implementing Microsoft Dynamics CRM in Bulgaria, Balkan Services also attended the forum. Within the Convergence 2015 EMEA hundreds of Microsoft's partners presented innovative technologies and individual solutions granting competitive advantage. Visitors had the opportunity to get involved in various trainings depending on their particular preferences and to listen to inspiring lecturers and their vision about the future. The forum focused on mobile applications, and the special mobile application Convergence was created for the maximum comfort of guests facilitating to the maximum the access to any information about the event.